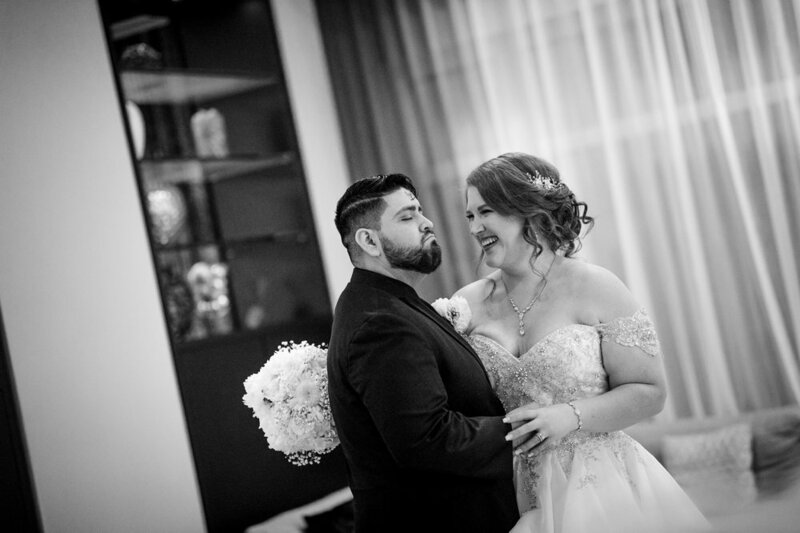 Katie and Jose decided to end 2018 on the highest note - with a New Years Eve wedding! The newly renovated Renaissance Fort Lauderdale Plantation Hotel was the perfect venue for these two. Obviously a hotel is the best choice to keep their guests safe and off the roads after the party, and the ballroom looked like it was designed for them. The boardroom space with beautiful window light for bridal prep was a nice treat too! Katie and Jose opted not to do a first look, which is totally fine so long as the day’s timeline allows for portraits and formals after the ceremony. With a second photographer and a super organized planner (credited below), their day was planned to perfection and didn’t feel rushed at all. Are you planning a wedding in South Florida? I’d love to chat! Click below for your complimentary wedding guide. It’s packed with more information about me, how I work, and transparent pricing. Can’t wait to hear from you!